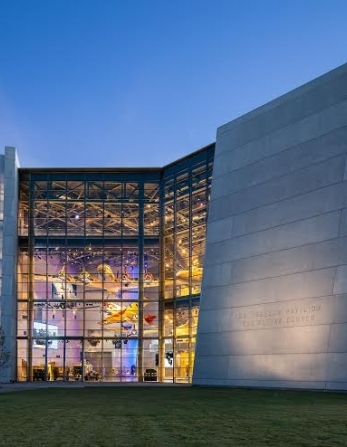 Situated at the end of the Horatio Alger Association American Spirit Bridge, this gallery honors the civilian merchant mariners who risked their lives transporting weapons, men, and matériel to US troops overseas. Members of the Merchant Marine were an essential force for the Allied cause, often working together with US Navy or US Coast Guard vessels to protect their precious cargo. Crossing the Atlantic and Pacific, they sailed under deadly threat of Japanese destroyers and German U-boats, which attacked as near as the Gulf of Mexico.